Regular weekly group horse riding lessons are held on Monday, Tuesday, Thursday and Friday afternoons and evenings, with lessons all day on a Saturday. The group lessons include half hour lead rein lessons to suit children from 6 years of age, as well as beginner adult lessons, then progressing through to lessons to cater for the experienced rider. Please note a maximum rider weight of 16st is applicable. Private and semi private horse riding lessons can also be arranged (Monday – Saturday dependent on availability), either on riding school horses or the students own horse/pony. The cost of a 45 minute private lesson on a riding school horse/pony is £42, while the cost for a 30 minute private lead rein/beginner lesson is £31.50. 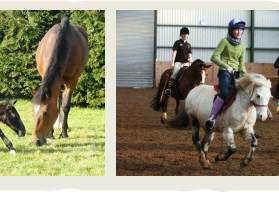 45 minute Semi Private lessons (2 riders) can also be arranged at a cost of £31.50 per rider or for 3 riders at a cost of £26 per rider on a riding school horse/pony. 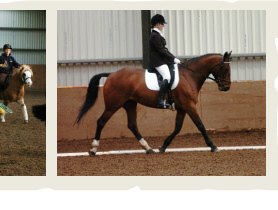 A £10 reduction in the cost is applied if the student rides their own horse/pony in the private lesson. Special rate for Adult beginner horse riding package only £90 for 3 x 1/2 hour sessions – only available Monday – Friday between 10.30am and 3pm. All ride times include mounting and dismounting time. There is a £5 cancellation charge if you cancel a group lesson after booking your space, no matter the notice or reason given. Please note the £5 is waived if you can attend another lesson in the same week. For groups wishing to experience horse/pony riding together please contact the centre to discuss costs and possibilities. 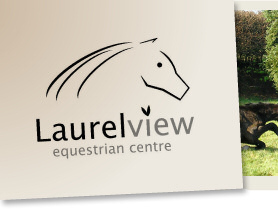 If you are interested in riding lessons at the centre, then please complete and forward the Lesson Enquiry Form below. Once a lesson has been organised, if you want to be save time when you book in, then just download and complete this Rider Registration Form.